Apropos the recent hue and cry of parents against the hiking fees of the private schools in Quetta city and other Districts of Balochistan. There is little denial of the fact that the educated parents in the province want to admit their children in private schools due to quality education. The importance of quality education is imperative for personality development and ultimately the job opportunities could be developed irrespective of observing the Latent and manifest functions of education in a society. Keeping the other factors aside, the quality education is the fount and prop of the expectations of parents from the private schools across the province. The recent allegations of parents and civil society against the rising fee culture of the private schools can be interpreted as “teething problem” for the Education Department in the province. Although, at Government level, there is a mechanism of regularizing the private schools, before functionalizing such a school after considering all the facilities of infrastructure and service delivery available for the pupils, however, there is no such a policy formulation to have a check and balance of the private schools regularly and substantive instructions issued to the concerned for the parameters set by the Government. As the education department is so indulged in its huge infrastructure of schools and human resource across the province that it has paid little attention to the burning issue. 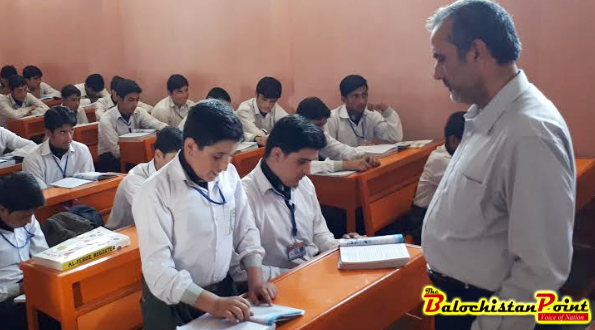 In my opinion, the education department after seeking the approval from the provincial Government should formulate a body, across-the-board, an attached department at provincial and district level. The officers appointed for the particular job should have experience and qualification for the purpose. At provincial level, an officer, a Bureaucrat of Grade-19 (A Managing Director) should be assigned the responsibility only for the purpose of reporting the progress of the private schools. Similarly, at district level, an officer would be posted to monitor and report fortnightly to the Managing Director at the provincial level. Although, two committees; District Education authority (DEA) and District Education Group (DEG); have been formulated at District Level, wherein, the concerned Deputy Commissioner of the district chairs and monitors the performances of the public schools along with the concerned District Education Officer (DEO) but there is no such comprehensive policy guideline for them to check on the private schools in their respective Districts. The Managing Director, as proposed in the aforementioned paragraph, would report to the Administrative Secretary of Education Department monthly. The Secretary, subsequently, after receiving all the data of facilities available in private schools can decide upon the functionalization of the concerned school based on the prerequisite benchmark of the criteria already set by the department. The uncontained posture of the provincial Government on the private schools has grown to unrest among the parents of the province. The ultimate purpose of the private schools anywhere is to make profit by positioning themselves in provision of quality education. The oligopoly of the private schools would have led them to charge excessive amount of fee from the students. The direct involvement of the Government would serve the purpose of quality education and curtail the high handedness of the owner of private schools.